During the last 2 weeks in May, having a lot trainings in both English and in Japanese, such as STCW-BST, STCW-BSTR, FOET, Diving Techniques Training etc., NSTC has active weeks both in Kitakyushu and in Yokosuka. 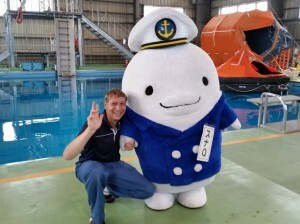 We had very big guest, VIP on May 16. It’s SunaQ, a community mascot originated at 120 years anniversary of Kitakyushu Port. 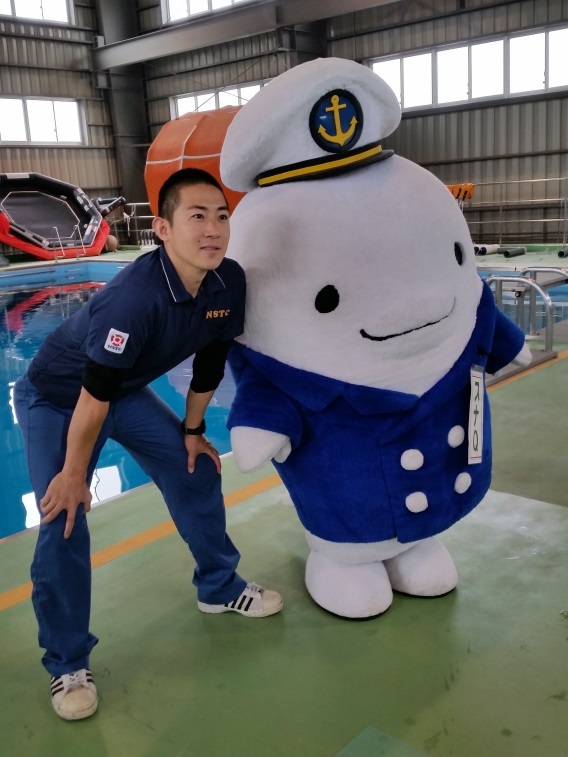 He came to NSTC to report our company in a sequence of presentation of major companies in Kitakyushu. A he was so cute, staff were so excited to take photos with big smile. I also would like to introduce you about beautiful nature in NSTC’s Firefighting Training Facility. 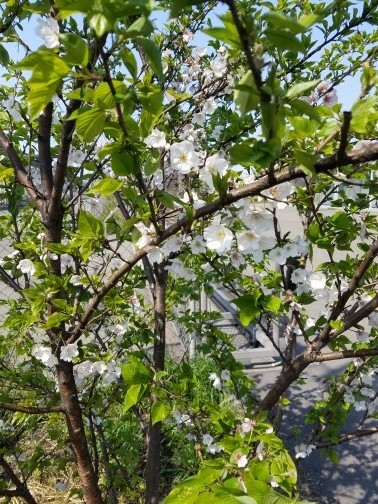 Those who have gone to the facility might recognize the facility as the ground where we train how to use fire extinguishers, but probably not many people noticed the small cherry blossom tree at the gate of the facility. 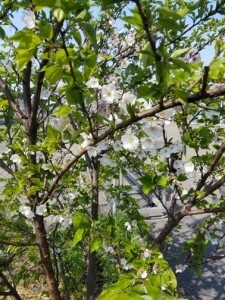 As it is a baby tree, it was not in full bloom in April this year, but beautiful flowers were in bloom. If you are planning to join training in April next year, please have a look. 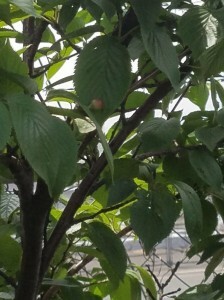 This phot is a same tree in May. 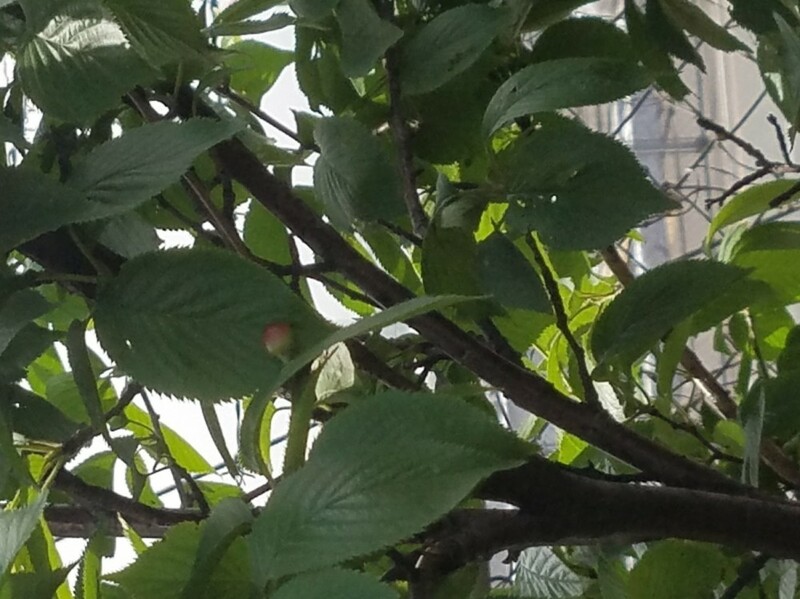 The tree produced berry for the first time in these six years. The tree are now afford to use its energy not only for own growth but also for descendants. We mow the grass and care for the tree hoping to bring a full bloom, but not yet the dream comes true. We keep working hard to make this dream comes true, so please have a look at the tree when you will go to the facility in Spring moment.